Size: 33 x 19 3/4 in. 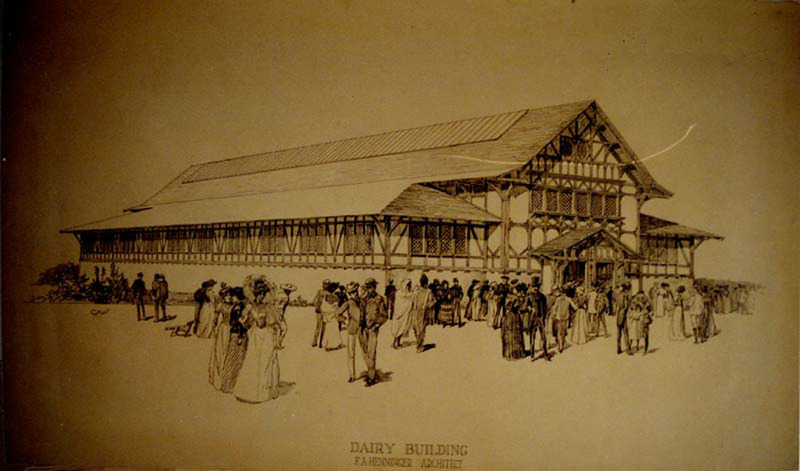 Architect's Illustration of Dairy Building. Crowd gathered in front of building. Framed illustration.